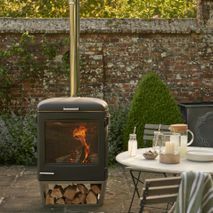 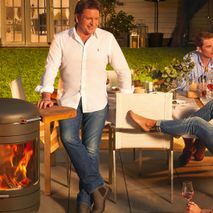 King Fireplace & Stoves are proud to offer clients the new Chesney’s Barbecue heater. 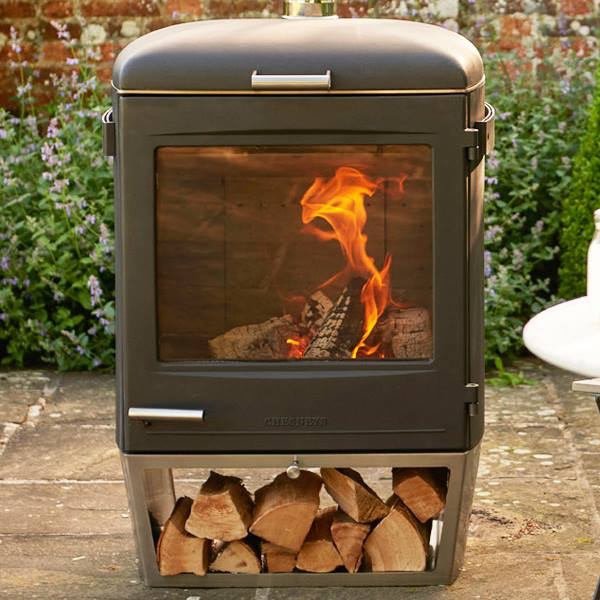 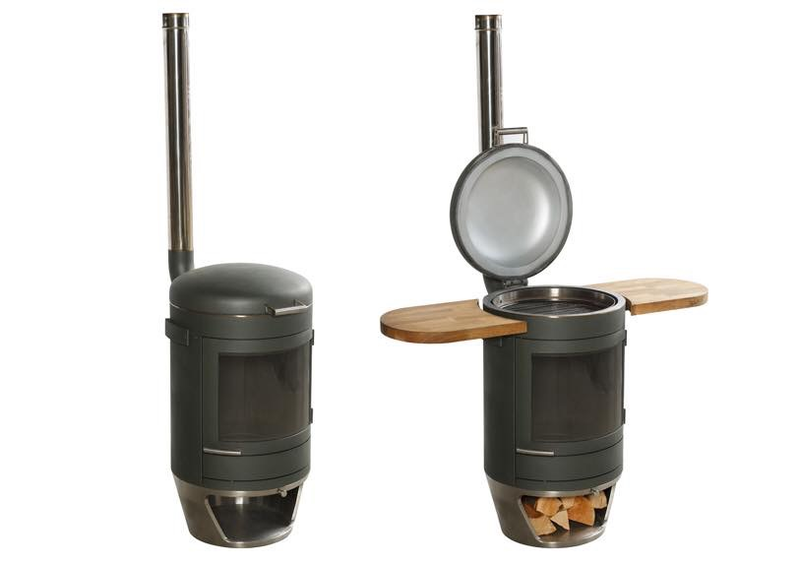 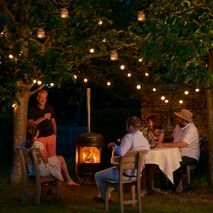 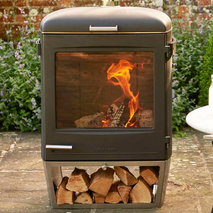 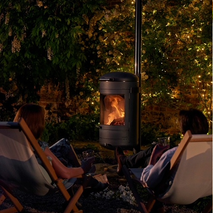 With a sleek contemporary exterior, the innovative design of the Chesney barbecues means they function as a cooking application and as an outdoor solid fuel heater. 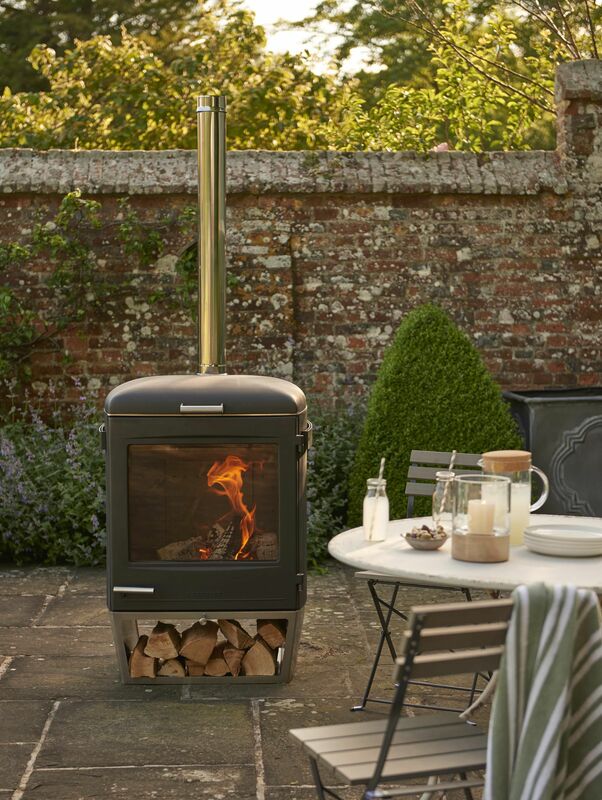 To discuss our range of contemporary Chesney’s Barbecue heaters, call into our showroom or get in contact with King Fireplace & Stoves today. 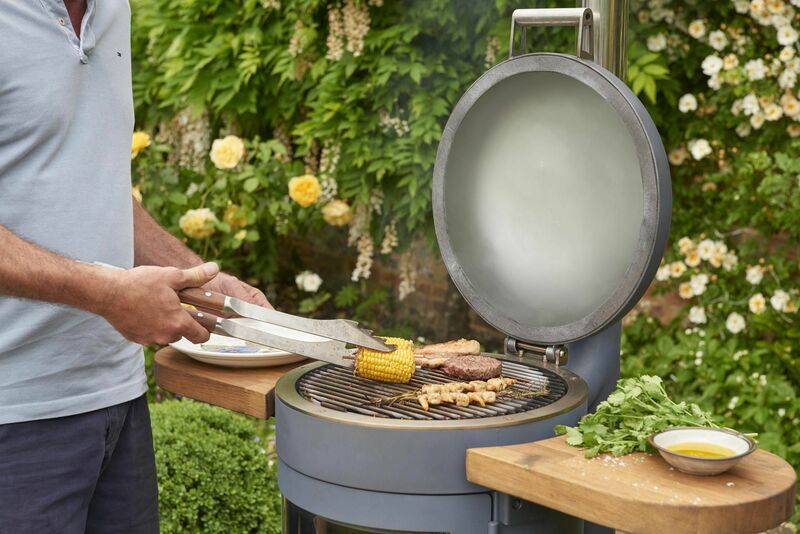 Built from quality, durable materials – including cast iron – these innovative barbecues are a safe and easy cooking and heating solution. 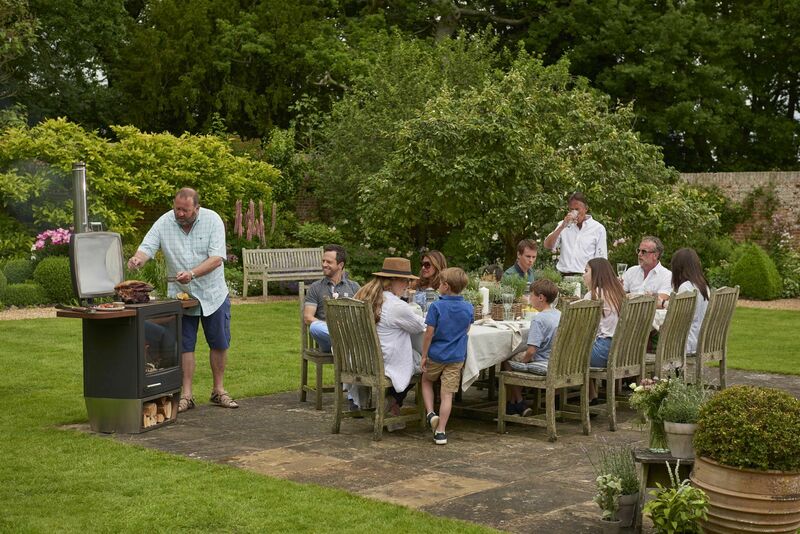 The sturdy build ensures that you’ll be enjoying your Chesney barbecue for years to come. 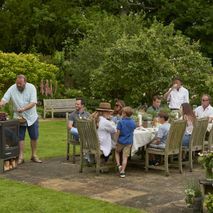 We are so confident in our barbecues that we offer all our clients a five-year guarantee. 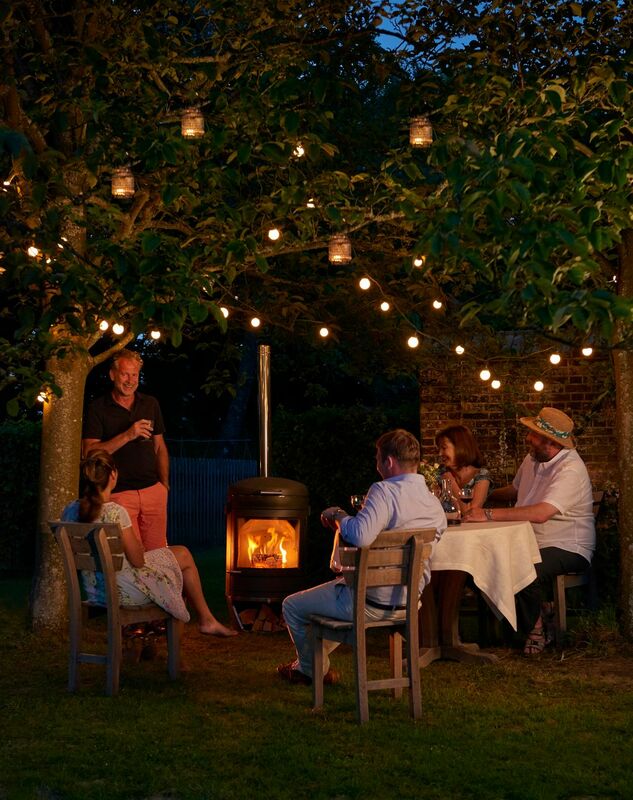 Built with the very latest combustion technology, these solid fuel barbecues offer an exact degree of temperature control that makes even complex receipts possible. 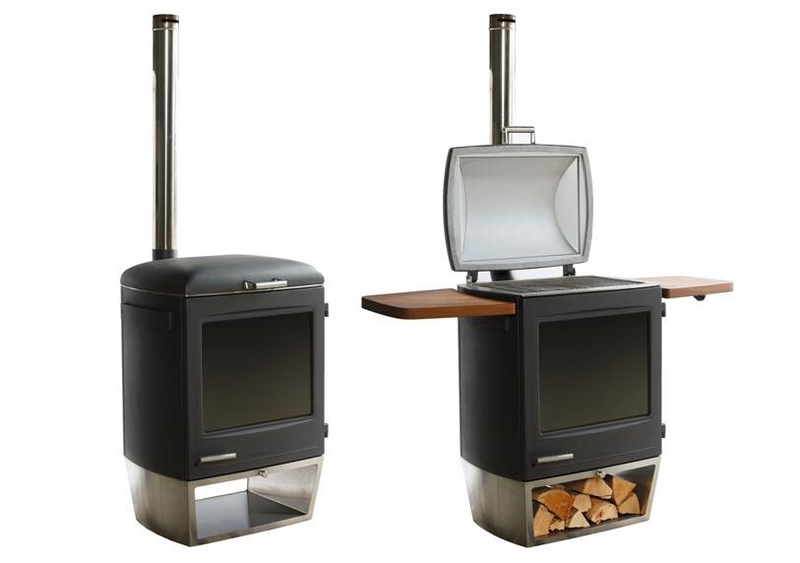 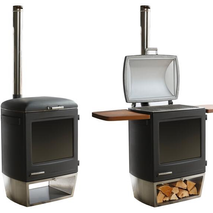 Direct and indirect heat and adjustable cooking heights are built into the design. 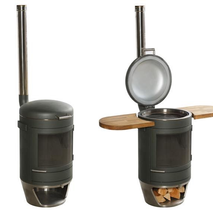 Due to directional air control, significantly less smoke is created. 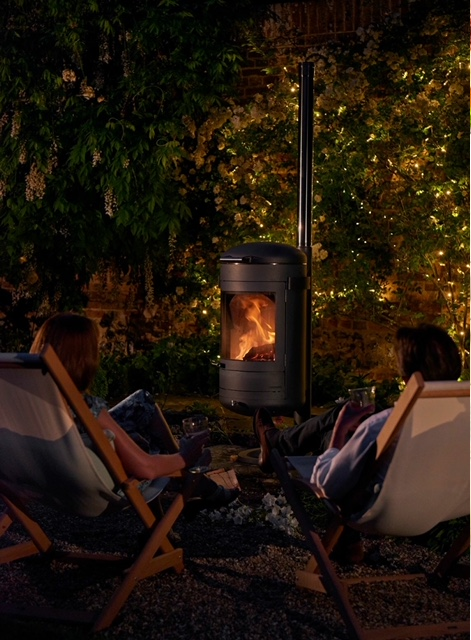 The little smoke that is generated, is channelled through a short flue pipe. 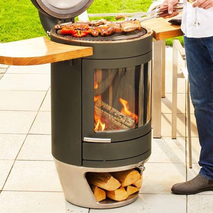 The advanced combustion process means that you are ready to cook within 15 minutes of the barbecue being ignited. 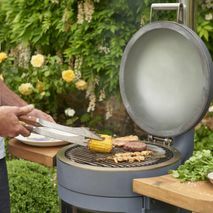 Like a professional kitchen oven or grill, our barbecues offer multiple cooking modes including grilling, char-grilling, smoking roasting, baking, braising, low an slow cooking and pizza baking. After cooking, the barbecue will self-clean once in cooking mode.